Katherine Archuleta is the national political director of the Obama campaign. When President Barack Obama’s re-election campaign appointed Katherine Archuleta national political director in June 2011, pundits across the country took this as a sign that the president was serious about nabbing the Latino vote once more in 2012, more specifically putting several swing states out West in his column. However, Latino leaders, including Archuleta, who is Mexican-American, took this as a sign of much more. Arturo Vargas, executive director of the National Association of Latino Elected and Appointed Officials (NALEO), said assigning Archuleta national political director was a huge milestone for Latinos. As the first Latina to hold such a lofty position on a major presidential campaign, Archuleta said she is thrilled and humbled. “I am proud that the president and his campaign team recognized the importance of having a member of our community in a leadership position. I am also very humbled by the fact that I am the one who has been entrusted with the responsibility of serving the entire campaign,” said Archuleta, who has spent nearly 20 years in public service. Prior to serving the president, Archuleta was chief of staff to Secretary of Labor Hilda Solís. She also was a chief of staff to former Secretary of Transportation Federico Peña and a senior policy adviser to him when he was named energy secretary. Her experience also includes community organizing: Archuleta founded the Colorado Women’s Foundation, the Mi Casa Resource Center and the Latina Initiative, the now-defunct Colorado organization, to empower women at the grass roots level. Named one of the most influential women in Colorado history by The Denver Post, Archuleta has an intimate knowledge of the West, women voters and Latino issues. All of this has groomed Archuleta for this campaign and this election, said Vargas. “I think she has a good breadth of experience both at the local, regional and national level about working in the political world,” he noted. 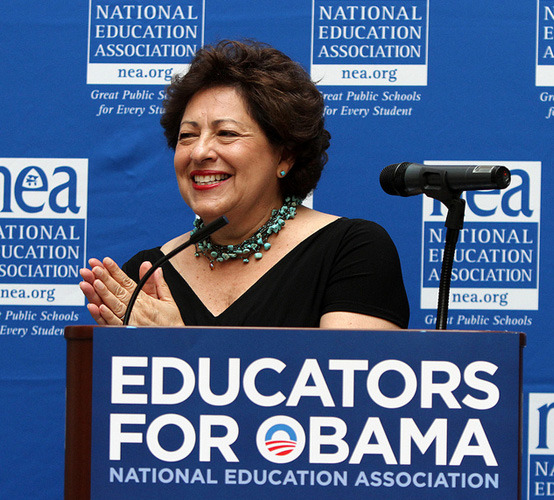 From tapping top Latino political leaders like Solís and Kenneth Salazar (Secretary of the Interior) for cabinet positions to appointing the first Latina, Justice Sonia Sotomayor, to the Supreme Court — and now Archuleta — Obama has recognized the support he has received from Hispanic voters, said Vargas. “I don’t think the appointments were designed to bring the vote out, as they were to acknowledge that the vote came in in the previous election,” Vargas said. Now, the president will be able to go to the Latino community and list all the ways he has included them in his administration, he added. According to the Pew Research Center, 67 percent of Hispanic voters went for Obama in 2008. 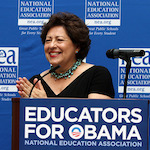 “Latinos turned out in force in 2008, and I feel confident that they will do it again in 2012 for the president because he knows that expanding the middle class, as well as expanding the electorate, means that more of us can share in the prosperity that hard work and responsibility should provide,” said Archuleta. “Latinos vote with both their intellect and their hearts and the president’s vision and values for our country bring my community to his side,” she said.